Representation of a person is the title for the UNIT 1 PORTRAITURE project. You will have a period of 7 weeks (including October half term) to develop your ideas. You will start off by undertaking the series of set tasks and then develop one of these strands further before producing a final outcome as part. You should aim to be ambitious in your final outcome and presentation. A portrait is a painting, photograph, sculpture, or other artistic representation of a person, in which the face and its expression is predominant. The intent is to display the likeness, personality, and even the mood of the person. Lesley Stevenson, Senior Paintings Conservator: A portrait is an evocation of a person. It gives the sense of that person. It doesn’t necessarily need to look like the person but it would have to give some impression. David Taylor, Senior Curator, Scottish National Portrait Gallery: I think a portrait is probably different things to different people but in general terms it’s a depiction of a person which can be idealised to flatter them or it can be an impression of their personality or it can even be an abstract depiction of some element about them. This poem will form the begining of your portraiture unit. Who are you what is your history. Think about the title representation of a person and think about the different things that represent you. Different parts of your life personality interests background that make you unique. 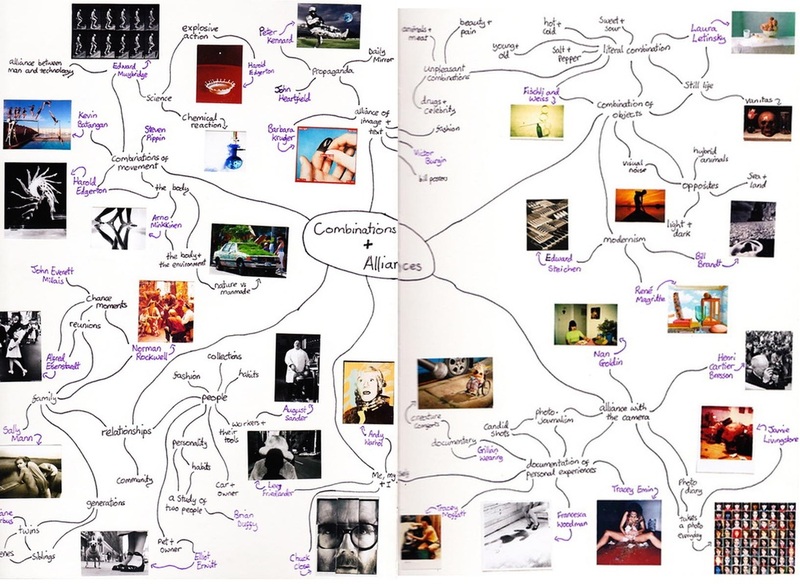 Create a visualmind map of your ideas. Include images where possible. Below are some ideas to help you get started. The photographer Myra Greene creates portrait images of herself using traditional photographic processes. In the project character recognition she focusses on different parts of her face as a process of recognition and exploration. Take a number of pictures of different parts of your face in the the studio put these images together on your weebly as a representation of yourself. Take a series of images of different members of your family in the style of Myra greene with the intention of creating a visual representation of the person without showing their full facial portrait. A friend, a neighbour, a familiar face in the street. Georgetown is a view into the life of south london resident, George. During a period of my adolescence that saw playing football in the street as a daily ritual, George and myself often shared the same space. Frequently we would meet with a simple nod, more frequently a hello, and on occasion George would join in for a kick about. Capture the three different enviroments and people that you will be taken to in class. Upload all of your photographs to your weebly in the form of contact sheets and then create a slideshow for your best images. Using the Portraits as a starting point the workshop will introduce students to different techniques on printing and manipulating of the photographic image looking at how these tactile processes could bring out new meanings to the original image. As well as being a introduction to techniques the workshop is an intro to processes as a tactile thinking process. You will need a selection of portrait shots of people,people in environments and shots of belongings people. Use at least two different types of techniques introduced to create prints. Create temporary 3D collages by folding, bending, Can use tapes and clips or use hands. Install collage in different places. Use light shadow, angles etc and take a photograph. A4 b/w print outs of portraits,environments, objects belonging to portrayed people etc. For 180-years, people have been asking the question: is photography art? Some complain that photography was "too literal to compete with works of art" because it was unable to "elevate the imagination". However, photographers have been incorporating techniques commonly associated with art that reclassify their works as one off pieces, sculptures, paintings and installations. They become pieces of art. Within portrait photography, artists and photographers use many techniques outside of the darkroom and beyond the digital world of Photoshop to enhance the message being stated in the photograph. Other materials and ways of installation can both blur and intensify the points the creator is making. Using the work of Lucas Simones, Joseph Parra and Gerhard Richter as a starting point you are going to physically manipulate your portrait photographs. For example, you could make the photographs more sculptural by folding, scoring, bending, twisting, shaping them, or you could suggest a more painterly and tactile quality by adding paint, string, collage, chemicals. How are these physical manipulations affecting the contextual aspect of your images? Are you changing or enhancing the meaning? Are they becoming something else? How are the techniques appropriate to the theme portraiture? Choose an artist from the included slideshow. Do some further research on their work and create a critical and contextual study on your weebly page. Discuss why you have chosen them in particular, how they have manipulated and installed their work in the past and what affect this has had on the overall image. Then take a series of portrait images or make some in the studio relating to their practice and have them printed off ready for your next lesson. You will be experimenting with and developing their style, so ensure you have enough images printed and of a big enough size to work with. The eye-opening series of photographs created by Ulric Collette features family members' faces spliced together, with startling results. Take a number of shots of different family members with the aim of merging their faces together. make sure to take a mixture of ages and gender. Once you have completed each workshop task above you need to determine three strands (starting points) for your project. The presentation of each strand must include a rationale (reasons why and links to the theme), connections to relevant contextual information, photographers and any other visuals. The first set of observations should include each of the three strands.